What is a trip gong? A quality boxing bell is necessary for every ring and tournament. Fight the roar of the crowd with a sharp, resounding trip of this gong bell. You'll make "fight of the night" with these boxing bells! 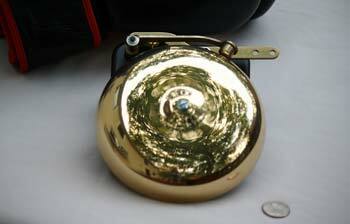 A trip gong is a mechanically operated alert bell also known as a prize fighter's bell or a boxing bell. They are often used in factories, apartments, schools, mines, and construction sites in the event of emergencies and power outages. 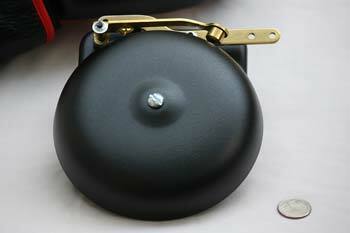 This bell does not need electricity to alert people far and wide with its loud, sharp, resounding ring! These bells are also used in sporting events, often found in boxing rings and on race tracks.